Having a professional profile on LinkedIn is imperative in today’s digital world and a half completed profile will do you more harm than good. The Ultimate Cheat Sheet on Optimized LinkedIn Profile contains many answers for you business. WHY? because everyone of us gets searched on Google and your LinkedIn profile shows up first in search results first – try it and you’ll see. We all need to be concerned about reputation management for ourselves personally and our companies. Getting found on LinkedIn requires both some strategy and really knowing who you want to attract followed by how you can help them. Here are some tips to optimize your LinkedIn profile. 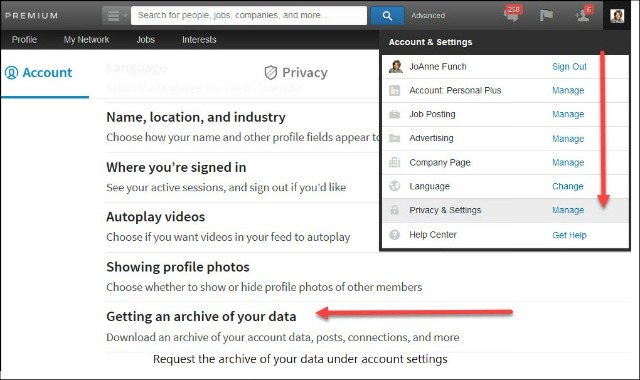 In spring of 2013 LinkedIn integrated a Facebook-style ‘mention’ feature. Then in June of 2015, both Facebook and LinkedIn updated their “Integration API Policies. To offer members increases value, the LinkedIn platform changes its features from time to time, which may offer you additional ways to improve your profile. Be sure to sign up for my newsletter (located in the right sidebar) to stay apprised of updates to gain the latest LinkedIn networking and marketing opportunities. Having your LinkedIn profile optimized with fresh content will offer more benefit to the user who visits your page. Since most people recognize that fact that LinkedIn is the largest and most widely used professional network in the world for connections, and more than 25 million LinkedIn profiles are viewed every single day, keep your page fresh with new content. This will help you maximize your exposure online, increase your LinkedIn profile position, and drive visits to your website. BE STRATEGIC with the content you post, always think in terms of what you want to be known for and what do people want to learn from you. Be consistent and always offer content that delivers value and not fluff. People’s time is valuable and if you post fluff content over and over you set your reputation to that as well. So what do you want to be known for? Boost your story by adding supporting visuals in the media section. For example, samples of your work or pictures of you at work if it makes sense. Your summary can make you come alive or you will be a flop. Consider adding a LinkedIn cheat sheet that is relevant to groups in your niche. It may become a favorite source of information that other go to time and time again to glean from your industry knowledge. Many professionals create their own digital ad hoc groups; such as media experts, journalists, home decor enthusiasts, medical advances, etc. who seek a space to post news and job openings. By uploading a cheat sheet to your LinkedIn page, you empower your readers to gather key information and sources directly from your business. While in the edit mode pay attention to the prompt that will pop-up on the right side with suggestions on words you can change in your profile to help you get found. This is based on the LinkedIn algorithm combined with others in your similar field on what are the top search terms. Pay attention to this and add to your specialties area (as shown in the image below) and possibly in the other sections listed above. Feel free to contact me and request a Career LinkedIn Profile. One of the mistakes we see that individuals make when adding their website or blog URLs is to choose one of the default choices, like their Personal Website or Blog. Rather, select the option for a Company Website. By setting it to display your Company Website instead of your actual company name or target keyword phrase, you can add a valuable link and keyword phrases in your LinkedIn profile that will help boost your chances to pull up Google search rankings. 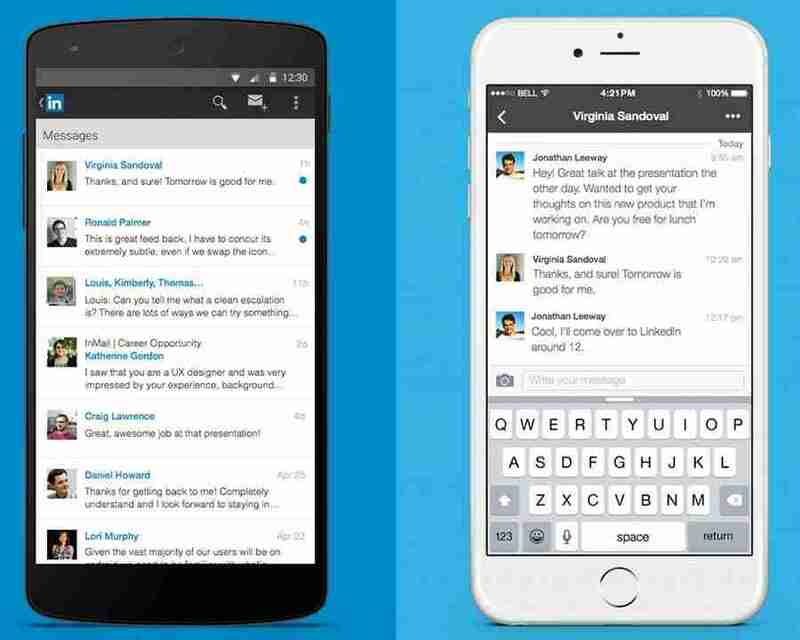 Make your Career LinkedIn Profile with Savvier with images. If you have not upgraded your account, I think the “Who’s Viewed Your Profile” is the best reason to do so. With a free account, you only see the last 5 people who have viewed your profile, with a paid account (any level) you see all the people over the past 90 days who have viewed your profile. I tend to be proactive and like the data because I can look for trends in the types of people or industries who view my profile as well as locations. I analyze those people and based on my business objectives reach out to those who have taken a peek! Consider how to better optimize your description; be brief but concise in your description for each position you are featuring. Use target keywords in your description accurately, so you’ll be found when recruiters or individuals search for your skill sets. There is now more data available showing where you rank among your connections with suggestions on how to improve your profile for more views. (See image above) I check this stats frequently and I make adjustments to my profile accordingly. Learn more by viewing our Ultimate Cheat Sheet on Optimized LinkedIn Profile. 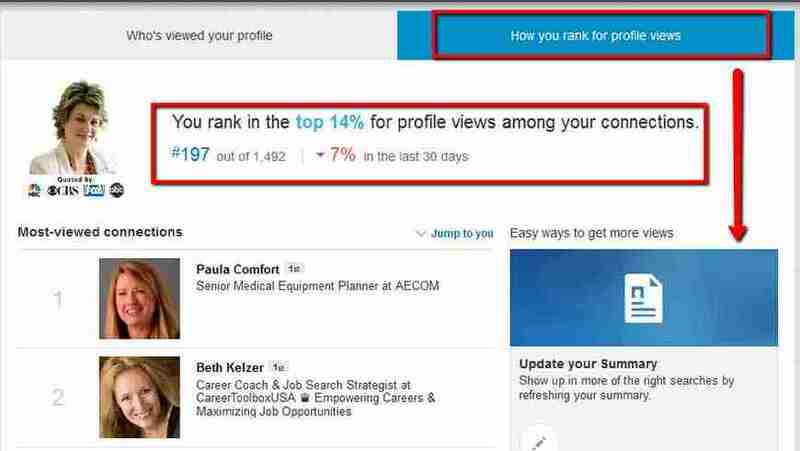 New data in the “Who’s Viewed Your Profile” section on LinkedIn is becoming a more effective tool every time LinkedIn updates the platform! I encourage you to stay up on the latest changes and update your profile accordingly so too will be top of mind, get found in search and continually have a dynamic profile.